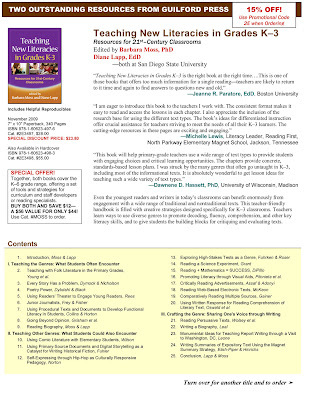 Two years ago I started working on a chapter for a textbook edited by Barbara Moss, PhD and Diane Lapp, EdD and published by Guilford Press. That rewarding process has turned into two chapters split between two textbooks. Naturally, my contribution to the books involves comic literature and provides actual research and lesson plans. 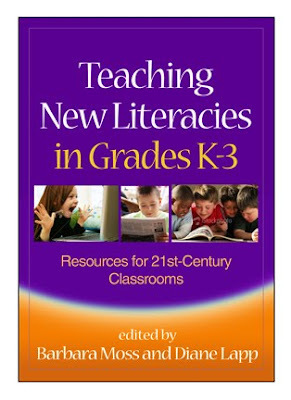 Each book features more than 20 complete lesson plans, including practical activities and assessments. Comic literature, fiction, poetry, plays, information texts, web-based texts, hip-hop and other types of texts are examined. 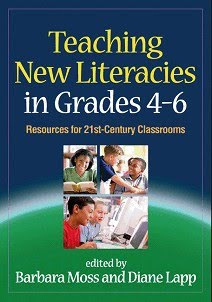 Clear explanations of the research base for instruction in each genre is also included. Each book will cost $28; however, if you use the promotional code 2E when ordering, you will receive 15 percent off. By both and save $12. 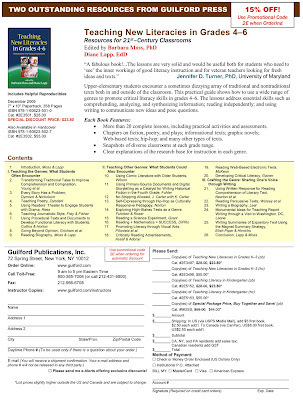 You can use the form below when ordering from Guilford Press. My friend and comics scholar, Dr. Bucky Carter, is also a contributor. He is a great resource when it comes to comic literature. He wrote about editorial and political cartoons, which sounds fascinating. This is fantastic. I knew you had something in the works, but this is great news. Congrats.